Enablement encompasses a number of things like onboarding new reps, training your existing ones, writing an effective sales playbook and much more. That’s a lot of things to track, and it makes it tricky to measure your ROI. So where do you begin when you need to prove your sales enablement team’s effectiveness? Many sales enablement solutions and practitioners point to stats around the effectiveness of training, or of their content. That’s a good place to start but that takes a narrow view of the business impact of a world class enablement program. You’ll want to also measure its broader impact on your sales team as a whole and its impact on board-level metrics like revenue growth overall. The bottom line is, if you’ve implemented a sales enablement solution and cannot prove its impact on the key metrics of your sales team and broader business, then what’s the point? By focusing your attention on these metrics, you’re also making a case that appeals to your executive team for why they should continue to increase your budget :). So how do you determine what business level metrics to analyze? You have to work backwards from the higher level problems a world class sales enablement program solves for. CSO Insights reported that 47% of companies say it takes 10 or more months for new salespeople to become fully productive and reach quota. After implementing the right enablement solution and processes, your average onboarding ramp time should be reduced significantly resulting in more deals closed and revenue growth. According to Sirius Decisions, 71% of sales reps said their lack of knowledge was the reason they could not close deals. Sales enablement is directly responsible for arming your reps with the knowledge they need to close deals. If reps and agents know where to find accurate information, they don’t have to ask one of your experts and wait for a response. In doing so, they answer a prospect’s question in real time, as opposed to following up after the fact. These small gains add up quickly across your team and will lead to faster sales cycles. The best sales enablement solutions will be able to tell a compelling story here. In 2014, RJMetrics, a cloud-based data infrastructure and analytics platform, was growing incredibly fast, adding 3+ new sales reps every month. They were in need of a way to quickly get new reps up to speed and a way to keep more seasoned reps on top of the latest changes in the industry. Using Guru, RJMetrics was able to reduce sales rep onboarding time from five months down to two — a 60% improvement. 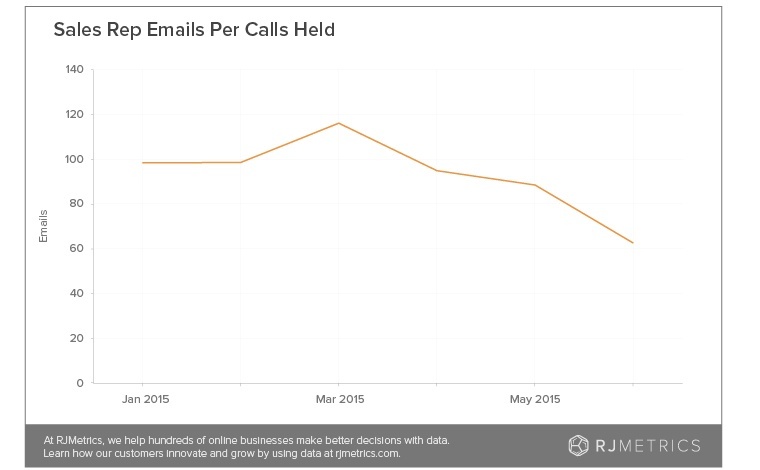 In addition, 5 months after rolling out Guru it took their reps 37% fewer emails to get a prospect on the phone. That directly contributes to making your sales cycle times faster. Fundera, an online marketplace for small business loans, relies on Guru to manage and continuously ensure the "inordinate amount" of lender data was always up-to-date and easily accessible for his client-facing teams. Their 30+ lenders are responsible for managing, maintaining and education customers on complex information every year. So, you can imagine their ability to swiftly respond to small businesses with accurate information is essential to their success. Guru’s verification workflow ensures knowledge stays up-to-date by reminding your experts to verify the content’s accuracy. Using Guru, Fundera’s reps were also able to measure the acceleration of onboarding time for new reps. Reps were able to easily find verified answers independently, and they reduce onboarding time from three weeks to one, a 67% reduction in ramp up time. To learn more about the Fundera case study click here. The right sales enablement solution will accelerate your revenue by shortening the new rep onboarding period, getting them to reach quotas faster, leading to a faster sales cycle.